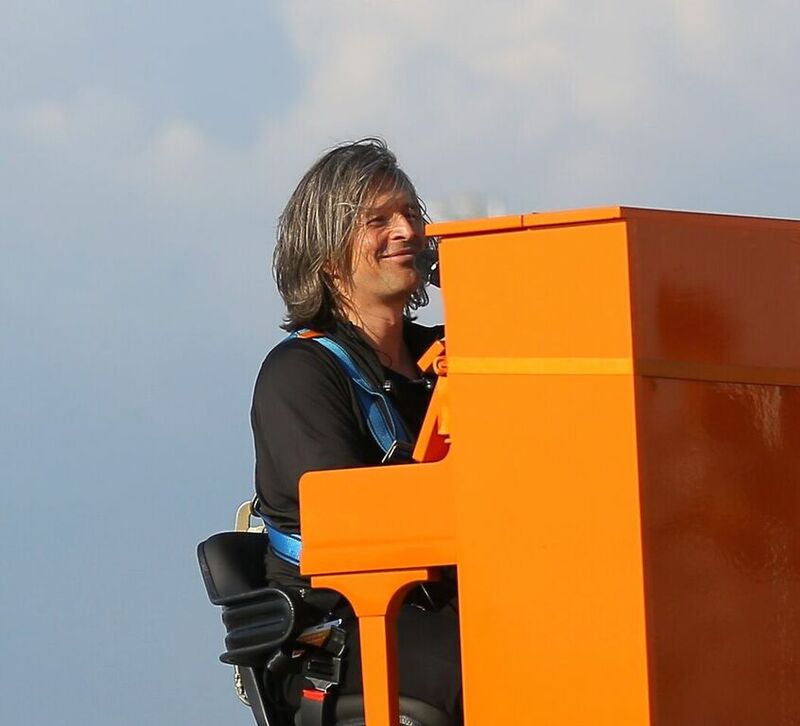 Piano player Stefan Aaron is a man with an unusual dream; he yearns to play an orange piano and sing beneath the red North Pole sign. This might seem a rather random ambition, but it’s actually part of a tour of extreme locations, known as the Orange Piano Tour, which has included a mock flying carpet suspended from a helicopter, the Great Wall of China, a 4204-metre mountain in the Swiss Alps, and a 600-metre Norwegian cliff called Pulpit Rock. This is far from a gimmick, though; he uses each location as the inspiration for the song that he plays, seeking to replicate the spectacular settings via the music that he creates. In this case, an exclusively written and produced North Pole pop track will be the played. It will be the first time anyone has performed at the North Pole. Stefan is one of the most innovative performers of recent years, combining dramatic settings with equally captivating compositions. This performance of his North Pole song is set to be his most impressive yet. Can he pull it off? Only time will tell. Check the Indiegogo out for yourself here.